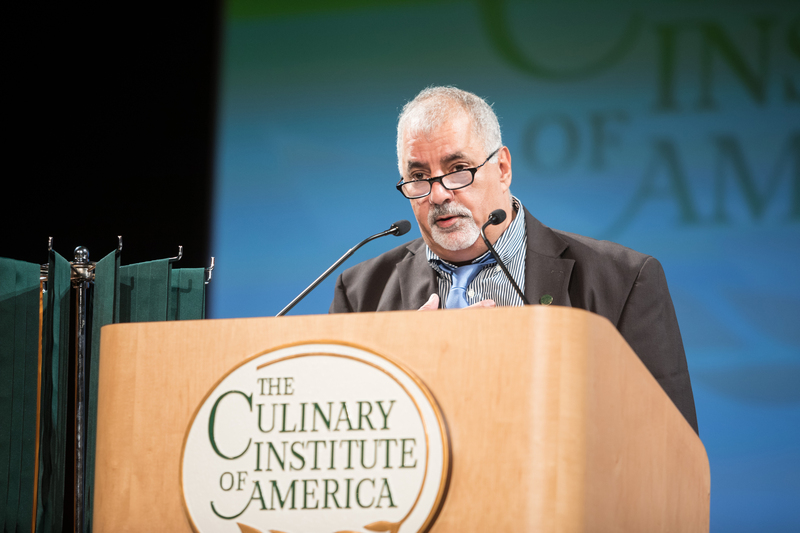 Hyde Park, NY – Iconic New York chef Sam Hazen, currently the culinary director at BR Guest Hospitality, was the keynote speaker during commencement exercises at the New York campus of The Culinary Institute of America on November 10. A 1982 CIA graduate, Chef Hazen is known for his time at The Terrace in the Sky, Heartland Brewery, Cascabel, Tavern on the Green, Tao, and Veritas. In 2009, he created Sam Hazen Management in 2009 to consult on restaurant projects in New York City. With BR Guest, Chef Hazen now oversees 22 restaurants under nine different concepts in New York, New Jersey, Pennsylvania, and Nevada. From 1990 to 1993, he was a member of the faculty at his alma mater, teaching Italian Cuisine in the CIA’s Caterina de’ Medici Restaurant. BR Guest Hospitality often attends CIA career fairs to recruit students and recent graduates to work for the company.